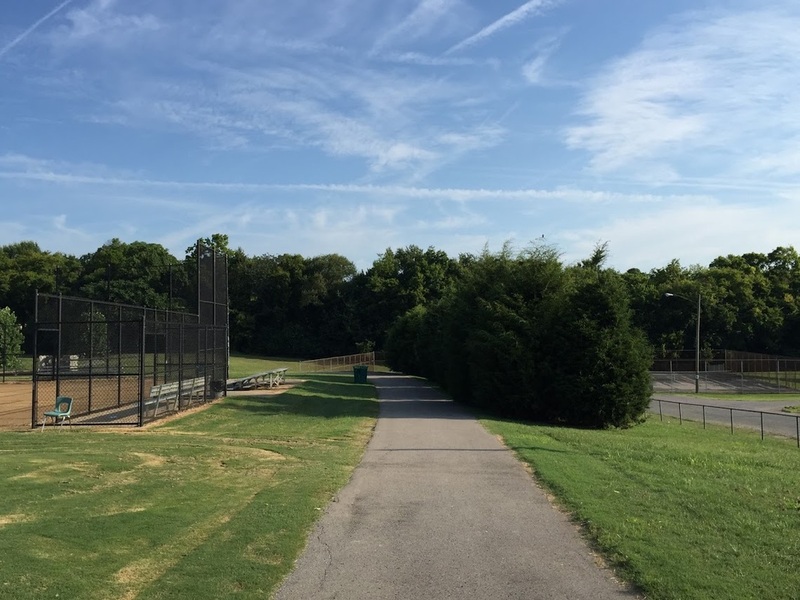 The primary feature of the park is the well-used 1/3 mile walking path. 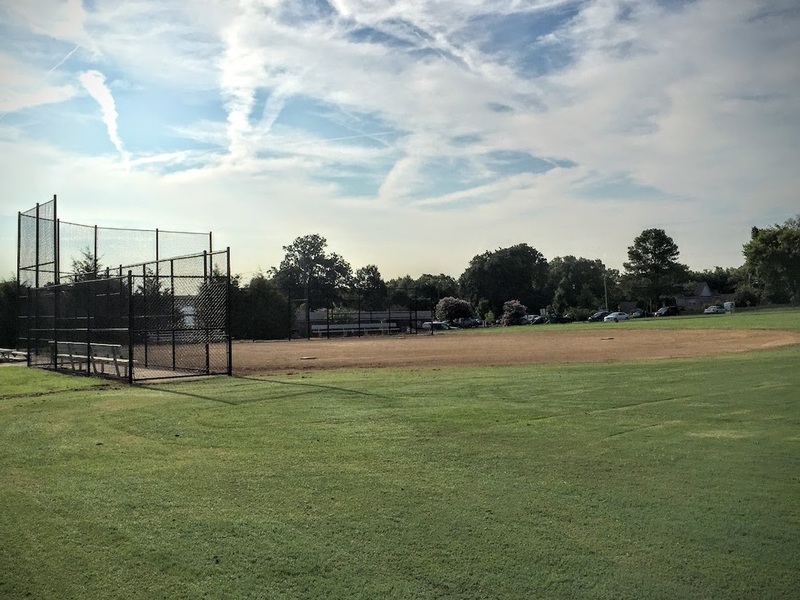 In addition, there are softball fields and a batting cage, play equipment for small children, tennis courts, a picnic pavilion, a no-mow zone, and grass berms (the start of a natural play or fitness area). The picnic shelter, climbing tower, and rock wall stay busy. 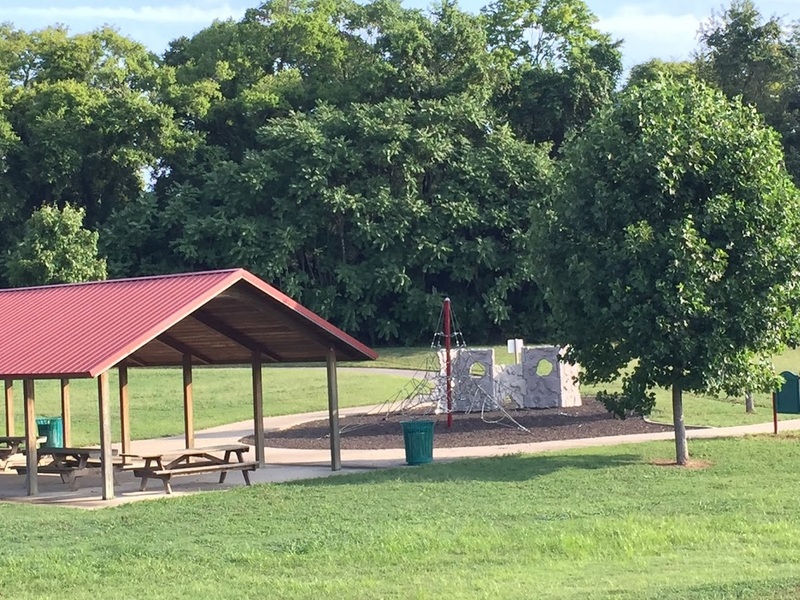 The picnic shelter is "first-come, first-served" (the Parks Dept. does not take reservations). There are three terrific baseball fields. This row of juniper trees, purchased with donations from neighbors at Arden Place and The Green Hills Action Partners, smell amazing when you walk or bike by them. 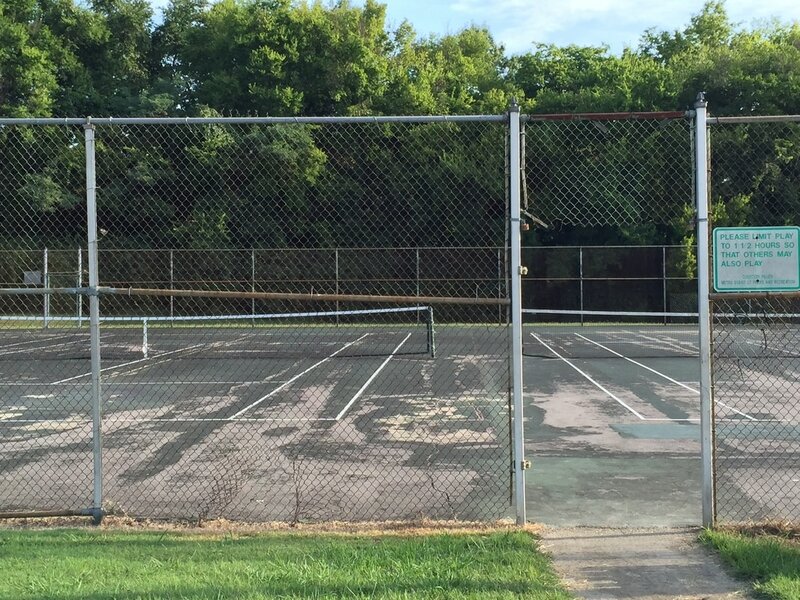 The tennis courts are sorely in need of resurfacing. 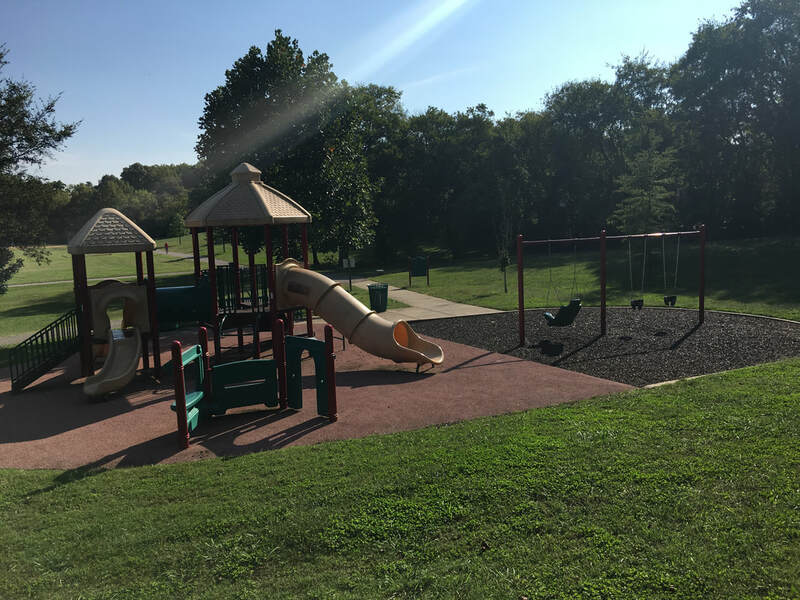 The playground is a popular gathering spot, especially for parents with little kids. 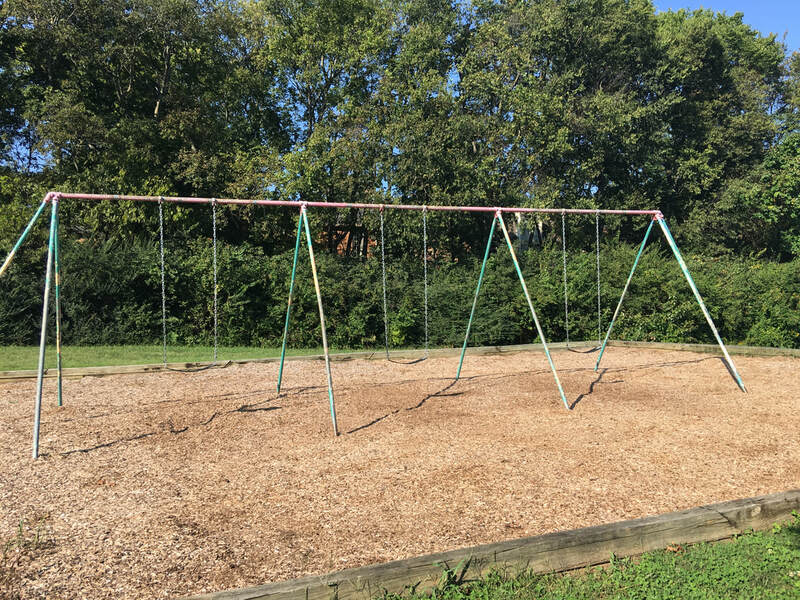 The swings are near the playground structure. This tree is located near the South East corner of the J.T. Moore campus. The Nashville Tree Foundation estimates that it is well over 200 years old. It was a winner in the 1992 Big Old Tree Contest. At that time its measurements were: 205“ circumference, 80’ high, 81’ crown spread.